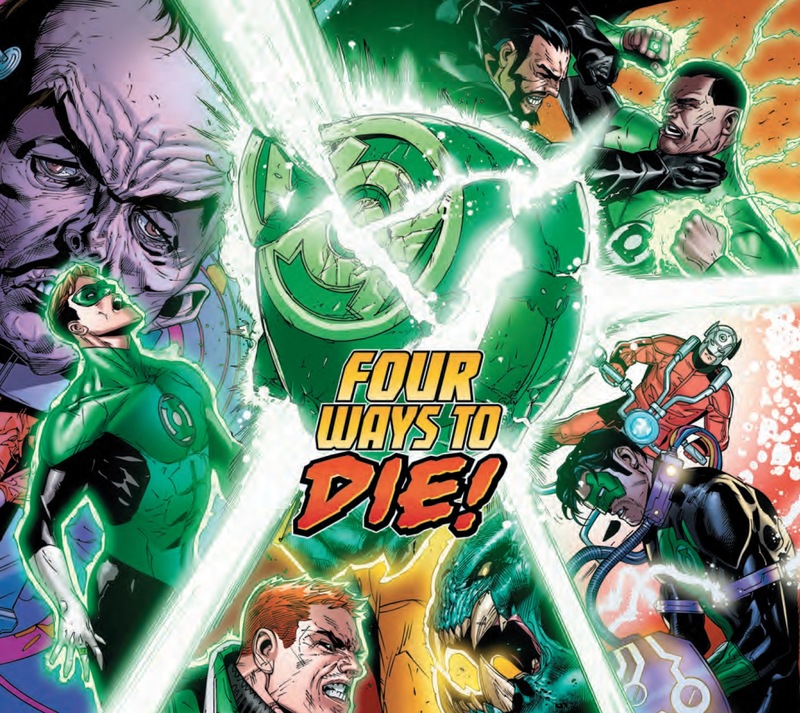 Hal Jordan and The Green Lantern Corps #45 Review – AiPT! How long before Green Lanterns are killed when they attempt to protect criminals who deserve a trial? The Darkstars are slowly removing all criminals with deadly justice across the galaxy and the Green Lanterns aren’t too happy about it. How long before Green Lanterns are killed when they attempt to protect criminals who deserve a trial? You won’t have to wait long, as that very thing happens in this issue. “DARKSTARS RISING” part four! The Green Lantern Corps must fight to hold on to a universe that is quickly being seized by the Darkstars’ rule-but does the universe still want the Corps’ protection?! 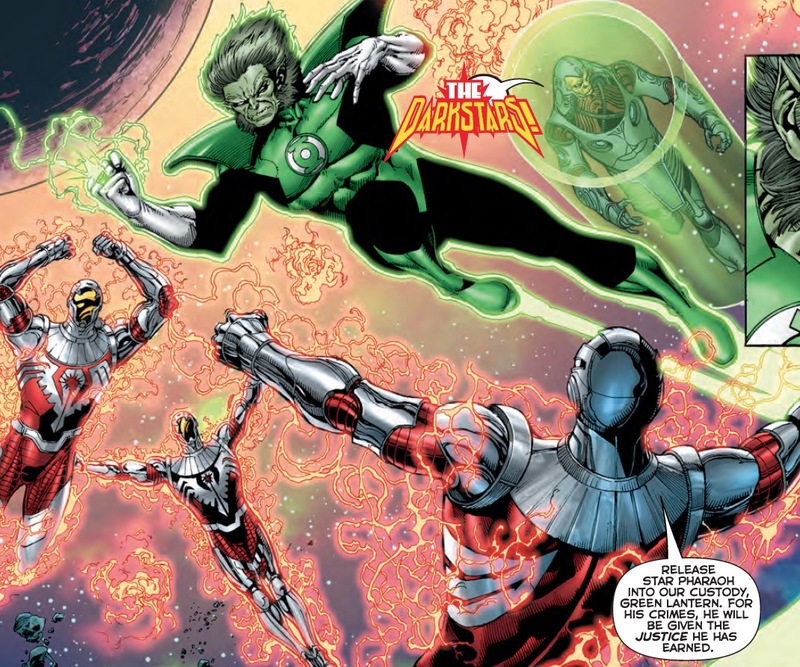 The Darkstars are forcing the Green Lanterns to confront a new kind of threat that challenges their values and process. To increase their chances it’s forcing them to ally with potential villains, which further calls into question their actions as the “good guys”. Robert Venditti is writing a story arc that creates a new kind of crisis that’s fun to explore. This issue bounces between Guy, John Stewart, and Hal Jordan as they attempt to ally themselves with villains who could potentially win them a war against the Darkstars. In each of the hero’s endeavors they must overcome adversity and convince villains like Zod to forget the fact that they’d be helping a hero. Enemy of my enemy sort of logic. Each story develops in surprising ways showing how the Green Lanterns may have different tactics but they get the job done. This issue opens with a short scene that confirms the Green Lanterns are at least doing the right thing by allying themselves with villains. It’s made clear the Darkstars will eventually stop at nothing to kill everything and anything that stands in their way. Their sense of justice is twisted and murder is no big deal if they feel like they are right. It’s a common thing the Green Lanterns fight against, as what is right and wrong consistently comes up. Ethan Van Sciver draws in his customary detailed style, using the width of the pages to give the scenes a cinematic look. Hector Hammond plays a big part in the issue and he looks incredibly freaky as he’s cross eyed with a dangerously large head. The scenes with Hammond are clunky and don’t quite work. Venditti stretches out these scenes, forcing a dialogue between Hal and Hammond that is borderline boring and somewhat unconvincing. Take for instance a moment where Hammond thinks over what Hal is asking of him. At this point Hal hasn’t done much to change his argument and yet it somehow works. Aside from that, Sciver’s art can be stiff and characters can look awkward. He also doesn’t draw backgrounds much which can make this more of a floating head comic than anything else. A good issue that progresses the narrative of Green Lantern’s working with villains. A decent issue, although it's clunky at times in its plotting and art.